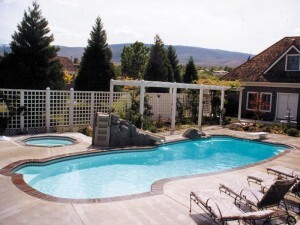 Pro Pools can build almost any pool you can imagine, including infinity pools, free formed pools, lagoon style pools, rectangular pools with covers, swim up bars, and a variety of natural and synthetic stone water features and fire pits. 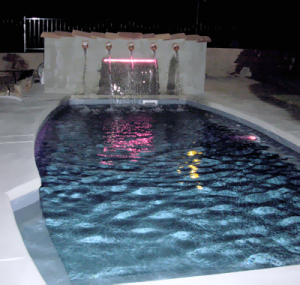 We offer a variety of pool side concrete work and concrete stamping around pools including all tile, pebble tec, pebble sheen, pebble fina and plaster. We also offer a variety of tile choices including glass tile, ceramic tile, and natural stone depending on the style of pool. 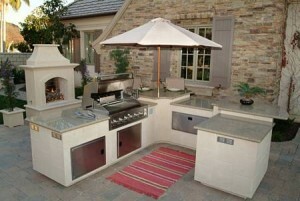 Pro Pools is committed to preserving our natural resources. We use the most energy efficient building techniques and equipment sets available. 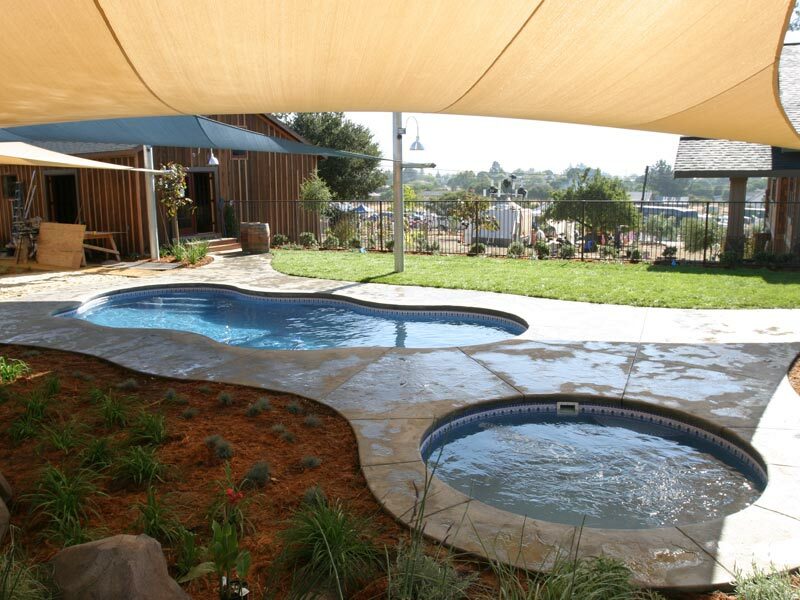 Wind plays the largest factor in heat loss, so we design our landscapes with natural wind screens on the prevailing wind side of the pool. We also use automatic safety covers in many of our projects. These help to keep chemical usage at a minimum by blocking UV rays, as well as offering an insulating barrier from the wind. We use variable speed pumps and led lighting in a majority of our pools which reduce energy consumption by up to seventy percent. 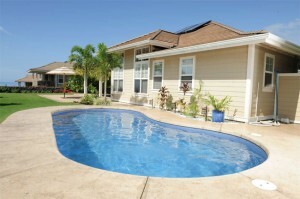 We suggest solar systems in many applications as they reduce or eliminate the need for heating in the pool season, adding as many as four months to the typical swim season.